Zachary Brown said as a member of the LGBTQ+ community, he finds it shameful that in 2019 he can be fired from his job or denied an apartment because of who he loves. The Democrat is challenging Republican incumbent Glen Sturtevent in the 2019 state Senate race. 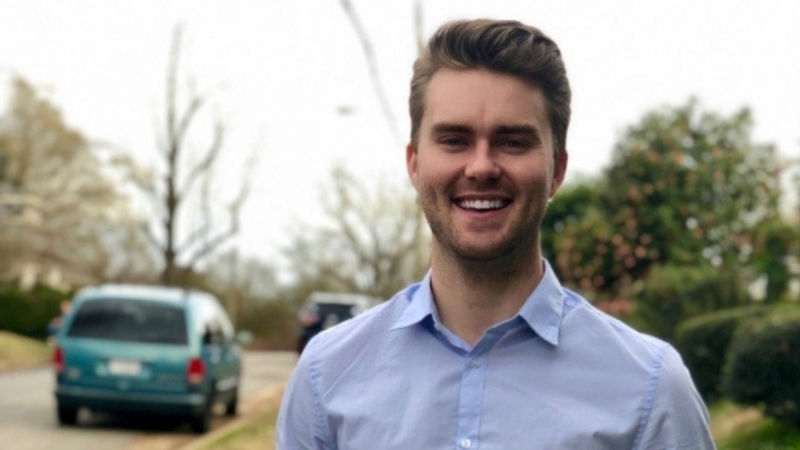 A 23-year-old University of Richmond law student is campaigning to unseat 10th District Republican State Senator Glen Sturtevant in the upcoming election. The district includes Richmond, Powhatan and Chesterfield. Zachary Brown was born and raised in Southern California and moved to Virginia to attend law school. The progressive Democrat says his platform is focused on LGBTQ rights, supporting small businesses and providing every Virginia resident an equal opportunity to succeed. Brown said there are too many hardworking people in his district who are struggling to make ends meet by absolutely no fault of their own. Brown may face two other Democrats in a June primary: Richmond attorney Eileen Bedell and community college professor Ghazala Hashmi. Glen Sturtevant, who's widely viewed as a moderate, has held the 10th District seat since 2015. Sturtevant introduced a resolution this year to ratify the Equal Rights Amendment in Virginia.